The price of gold spiked dramatically right around 2:15 PM ET today, as the Fed released its latest statement on the strength of the economy. The FOMC mentioned the word quantitative easing, and left the door open for future asset purchases by the central bank. The result was a rush out of the dollar, and into a myriad of other assets. 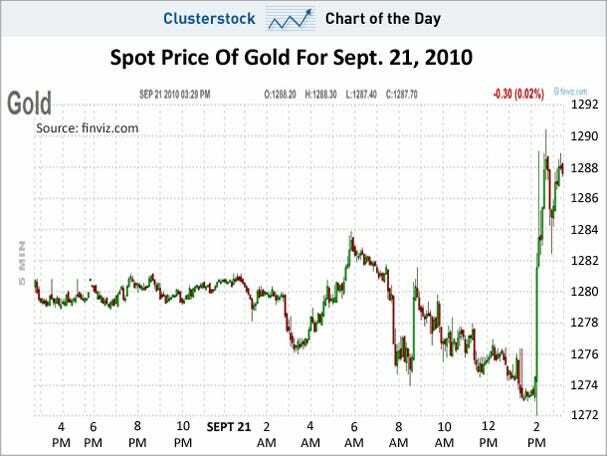 But gold's move was the most Dramatic.